The Hong Kong-based producer debuts the first single from his 'TKO' EP for Absurd Trax. 2018 has been a breakthrough year for underground club culture in China. In spite of Internet restrictions, rent hikes and government raids, the Chinese youth have maintained their creative freedom, fostering a vibrant scene that has Western club-goers taking notes. 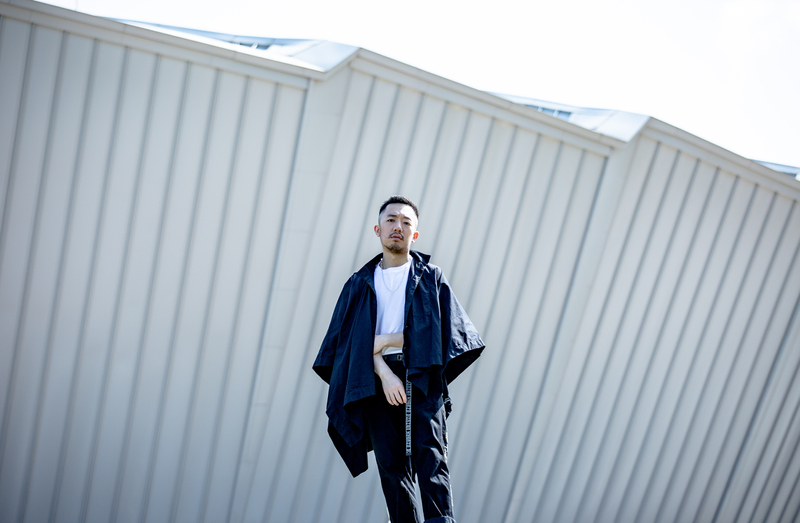 Spearheading the movement are Shanghai’s Genome 6.66 Mbp label, diasporic platforms like Chinabot or Eternal Dragonz and Hong Kong’s Absurd Trax. These labels operate with an individualistic, DIY spirit, acting as nodal points within a network of experimental club music extending from China to the rest of the world. Of the aforementioned labels, Absurd Trax is the youngest. Although the idea for the label was conceived in 2015, it became a reality early this year with the release of Kelvin T’s “Sedative.” Since then, the label has gone on a tear, putting the Hong Kong club scene on the map with a slew of unconventional but impactful releases. Their next scheduled release is the debut EP from Hong Kong producer Alex Yiu, operating under the pseudonym Alexmalism. Alexmalism in front of the Hong Kong Velodrome taken by Swing Ho. Alex’s approach is minimalist but ends in maximal results. Throughout the record, he moves through trance, house and techno, employing pointillistic synth patterns and industrial rhythms. Some tracks are lively and effervescent while others feel murky and grinding, lending to the dualistic nature of ‘TKO’ itself. You get the sense that beneath Alex’s disaffection towards his hometown lies a sliver of reverence. ‘TKO’ will be released via Absurd Trax on December 14th. Pre-order it here.